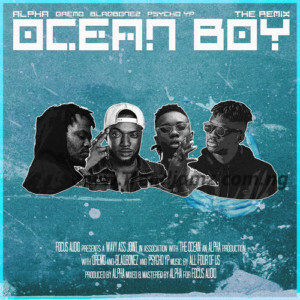 Alpha hits us up with the remix to “Ocean Boy” featuring Blaqbonez, Dremo and Psycho YP. The quartet, who makes up the new generation of hottest emcees on the hip-hop scene, indeed confirmed that they are on their own waves. ‘Ocean Boy’ is a single originally from the fast rising rapper, Alpha’s debut studio effort, ”Half Price”, which enjoyed critical acclaim upon its release in 2018.